Want to rent a boat in Miami? Since you’re reading this, I take it that you’re considering renting a boat in Miami? Am I right, or am I right? In this blog, I hope to help you to get “clued up” on how to rent a boat in Miami, the things you need and also general restrictions. This blog won’t serve as a “do’s and don’ts” of sailing in Miami, but more as a “this is what you need to anticipate” before attempting to sail in Miami. Do I Need Boating Education? If you hope to rent a motorized boat of more than 10 hp (horse power) and you were born after January 1st 1988, you need boating education. Candidates of any age group can take this course. You do not have to be from Florida to take this course. For those that think we’re simply trying to ruin all of your fun with these requirements, you’re in luck! There are a few exemptions.. ? ..Without your Boating Card and other important credentials. Florida patrol officers operate on the waterways to keep you safe and enable that you have a great experience. However, should you be found without the required credentials and even more importantly without your Boating Card, this can result in a fine. Play it safe, carry your credentials..
A Skipper is someone that acts as a captain of the boat. They are qualified to operate boats and are oftentimes requested when the passengers are inexperienced or simply want to enjoy the sail without having to actually worry about the sailing part. This is a great option for those that want to go on holiday to Miami and are worried about the requirements mentioned earlier in this post. However, the Skipper doesn’t come free! Depending on the size, type and period of time on the boats, they usually charge a fee. This fee ranges between $120 – 150 for a half-day charter, whilst a day charter usually costs around $250. 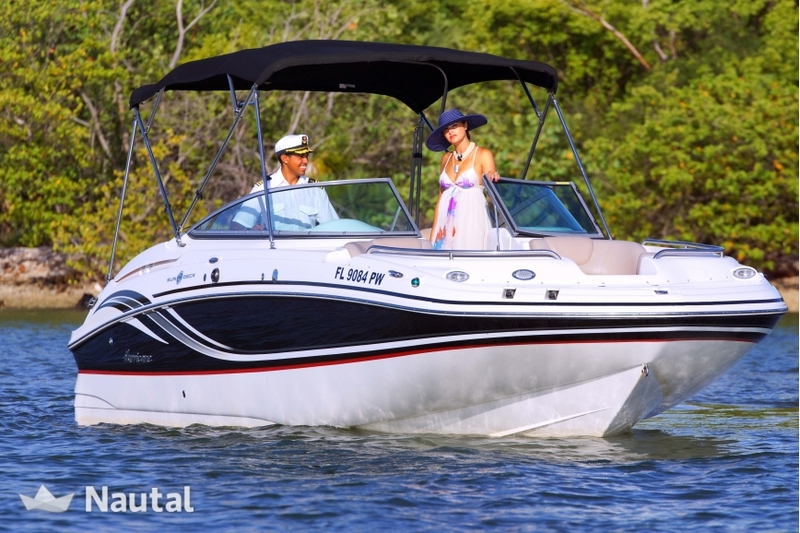 ..How about renting one of our boats during your time in Miami! We have boats of all shapes, sizes and styles to accommodate your every desire. Should you also like know how to choose the perfect boat, head over to my blog post.. “How to Choose the Perfect Boat”. This post should help you to explore your options concerning aesthetics and price!